Morning and evening chapel are a key part of your week at school. Chapel is held in the Chapel of the Christ. 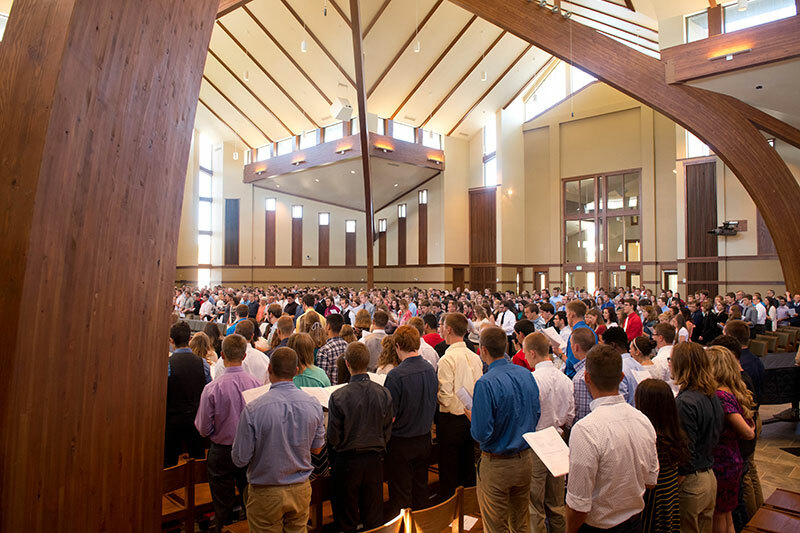 Morning chapel is conducted at 10:30 AM, Monday through Friday by men of the MLC faculty. Evening chapel is conducted at 7:15 PM, Monday through Friday, by the Campus Pastor, the VP for Student Life, tutors, and men from the junior and senior classes. The dorm staff also conducts compline services on selected Monday nights at 10 pm. Respect those preparing to worship. Quietly prepare yourself for worship. The Chapel of the Christ is available to rent for special occasions to those outside our Martin Luther College family. Below are the rental forms that must be returned to the Student Life Office.